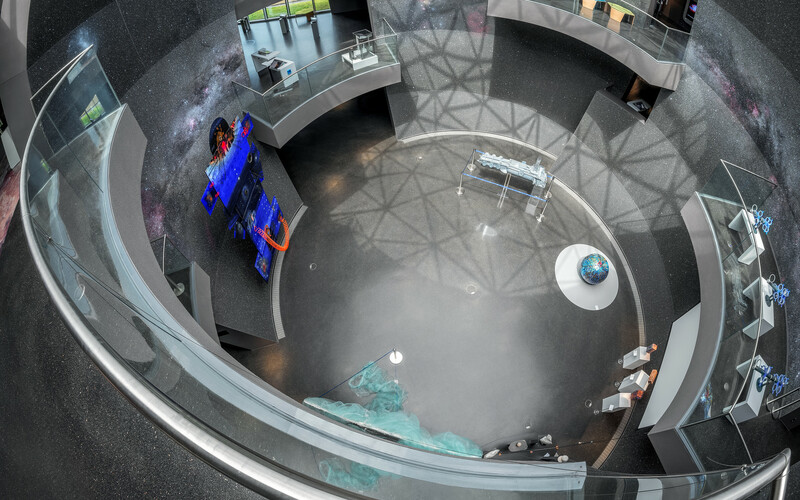 The ESO Supernova Planetarium & Visitor Centre's patterned glass ceiling casts a long shadow to the bottom of the Void, the large sphere-shaped atrium within the exhibition spaces. 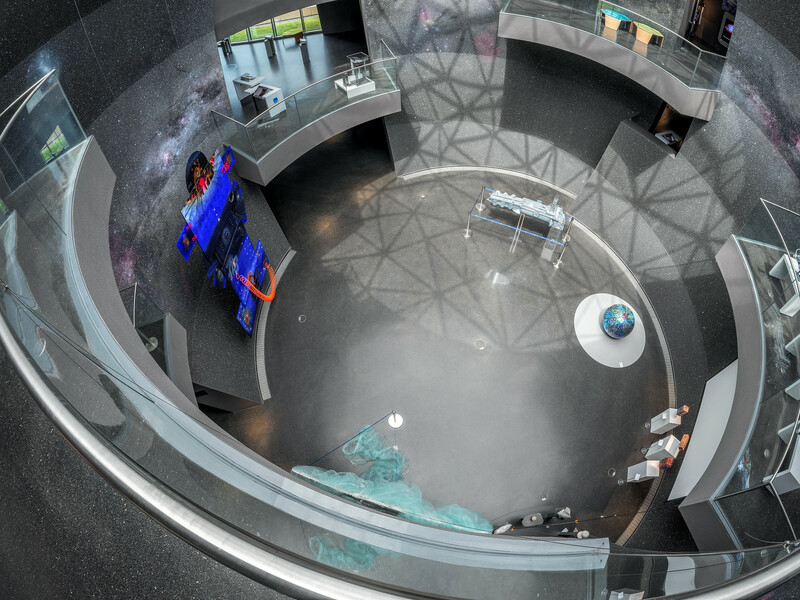 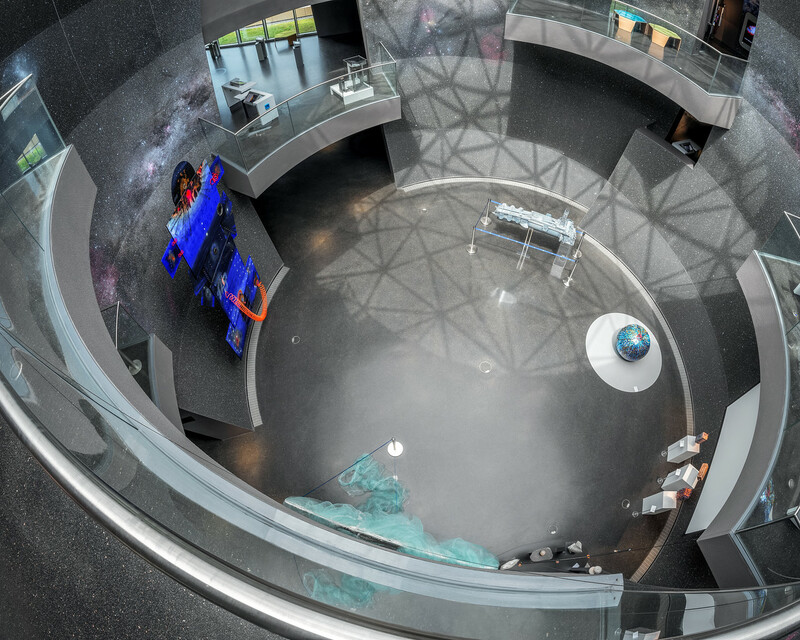 Visible is the temporary exhibit space on the ground floor, as well as balconies with interactive materials incorporated into the permanent astronomical exhibition. 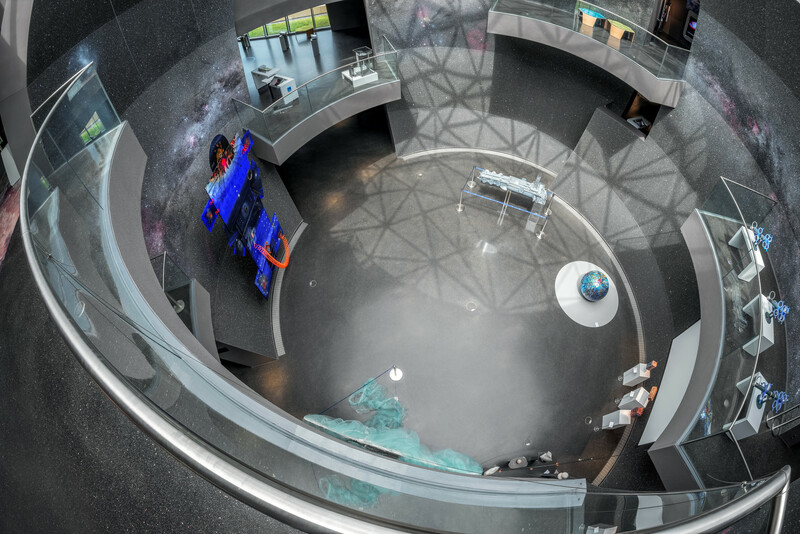 The Void is lit by warm, natural light by day, while by night the atmosphere is elevated by the glass ceiling's patterns, which evokes the southern hemisphere constellations visible from ESO's observatories in Chile.